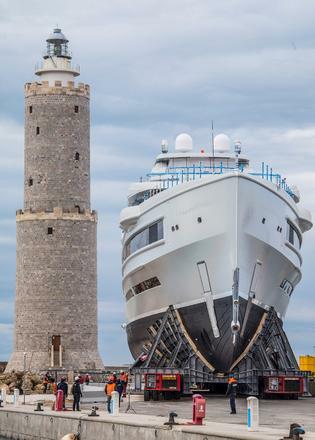 Benetti’s largest ever build, the 107 metre FB 277, has been launched after exiting the shed in preparation earlier this week. The project, which will be delivered next year, was launched on December 18. 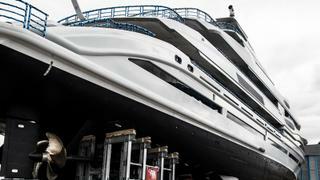 She will be available for charter from summer 2019 exclusively through Imperial, which also acted as owner's representative and build supervisor. 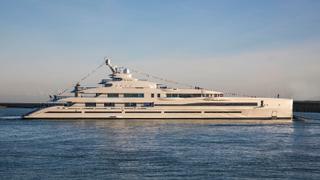 More details about the yacht have been revealed by Imperial. Known as Project FB 277, the yacht is constructed from a steel hull and aluminium superstructure, with a maximum beam of 15.2 metres. Described as sporting "an elongated and linear profile", the yacht balances a "contemporary and minimal design" with "a tasteful interior decoration" furnished with bright furniture and wide windows. Her naval architecture has been provided by Benetti and Pierluigi Ausonio while her exterior and interior design has been completed in-house by Benetti's design teams. Key features include "a breathtaking beach club with Hammam, touch and go helipad and giant pool on the sun deck," according to Imperial director Julia Stewart. "Project FB 277 marks an important step in Imperial history by being one of the most exclusive vessels available for charter. 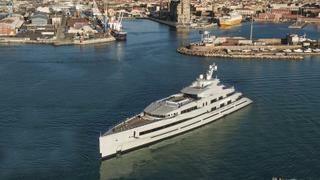 This milestone shows the positive influence of our young but growing company to the superyacht industry, which is behind some of the most exciting superyacht deliveries of the last decade," she said. "Project FB 277 represents the utmost luxury for all superyacht passionates looking for a tailor made charter journey." FB 277 is powered by a diesel electric propulsion system for a top speed of 18.5 knots. She will have a cruising speed of 16 knots. Accommodation will be for a total of 12 guests in eight cabins, while 18 cabins will accommodate a maximum staff of 32. Imperial revealed it is already open to receive pre-bookings for the summer charter season. 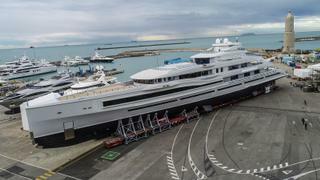 The remaining two in-build 100+ metre Benetti yachts are due to launch next year, the yard said.